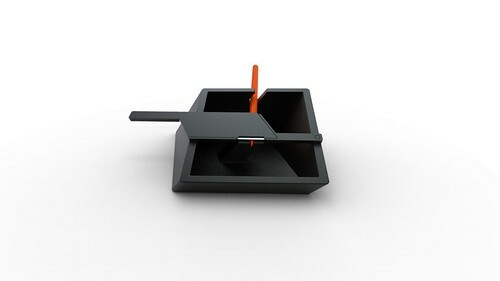 Free Time's swing blade desktop pencil sharpener was accepted into the "use me" competition hosted by the american design club. It was posted on mocoloco today, so we thought we should post some background information. The American Design Club (AmDC) was seeking unapologetically functional design for its sixth show, set to coincide with the International Contemporary Furniture Fair (ICFF) 2011. Submitted designs had to exhibit a strong sense of purpose, intelligent use of materials and the ability to do one thing extremely well. 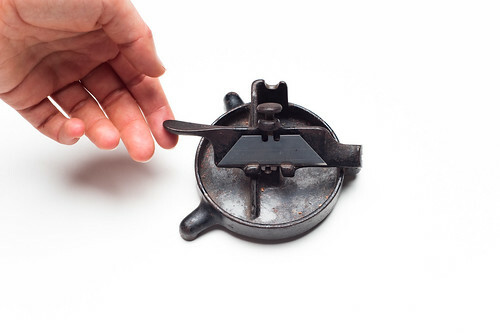 The competition prompted us to look at a sharpener inherited from my great-great-grandfather; grade school teacher, Fredrick Clay. Because of the superior lead points created by the precision of the swinging blade, this unique tool has been handed down for generations. 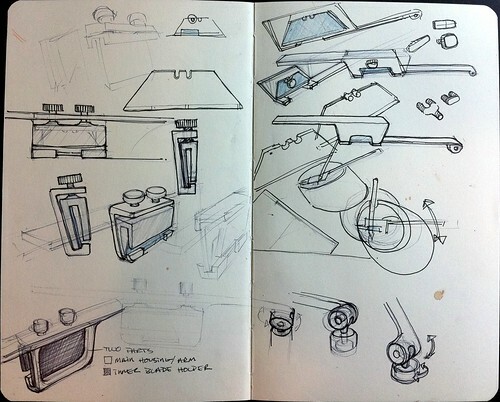 We worked to reverse engineer the sharpener by examining the design decisions made by its originator. After striping down the tool to its basic architecture, we were able to combine elements and reduce unnecessary visual complexity. 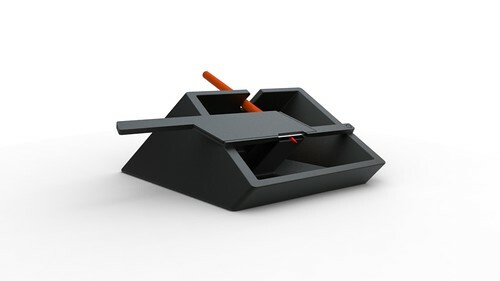 The stabilizing feet, the guide angle, and the collection bowl were integrated into one simple element. The resulting form factor is canted, providing the perfect angle for smooth stable sharpening.